In Stanley Kubrick’s famous film based on Arthur C. Clark’s book, 2001: A Space Odyssey, a mysterious black monolith appears on Earth millions of years before modern humans. It’s the classic “black box.” We don’t know who made it, what’s in it, or how it works, but it’s miraculous and powerful and somehow results in jumpstarting the entire evolution of humankind. Data science algorithms were black boxes that non-data-scientists didn’t understand. Experimental research setups were black boxes that other researchers couldn’t reproduce. 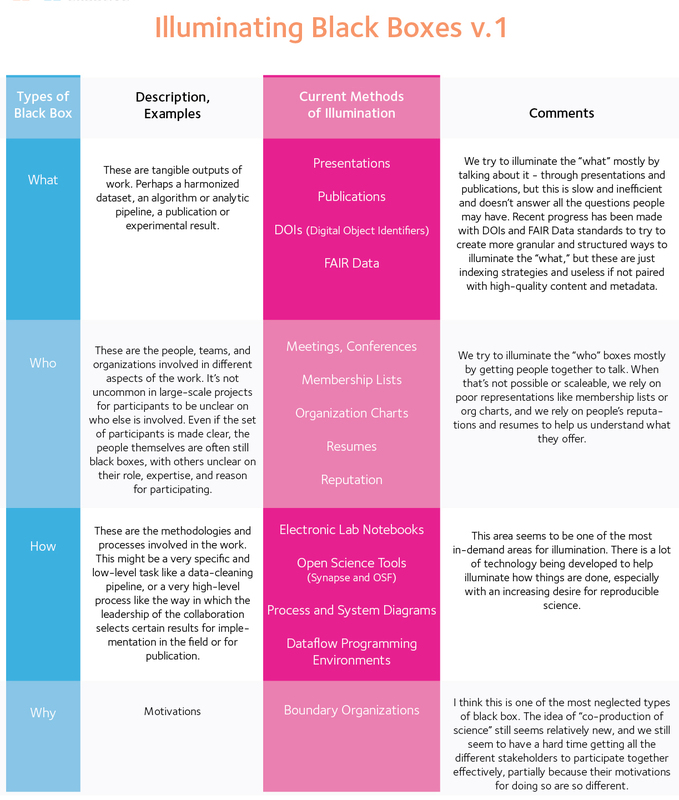 Organizational processes were black boxes that participants couldn’t navigate. Teams were black boxes that managers couldn’t easily monitor. Alicia leaned over to me as said, “That’s exactly what a city is: a bright spot of light. Can we use the Cognitive City to shine more light where it’s needed?” Her question really stuck with me. The Cognitive City is the name of the platform my company has developed over the last 8 years for making collaborative research easier. We’ve been focused on trying to facilitate innovation; that’s where the whole name for the platform came from. Cities are birthplaces of innovation, and my team wanted to create a system that could foster innovation in virtual space the way that real cities can foster innovation in physical space. It turns out that these maps of light from space are incredibly telling. The amount of light that a city puts out tells you about their economic development. The increase in their light output over time tells you about their urbanization. 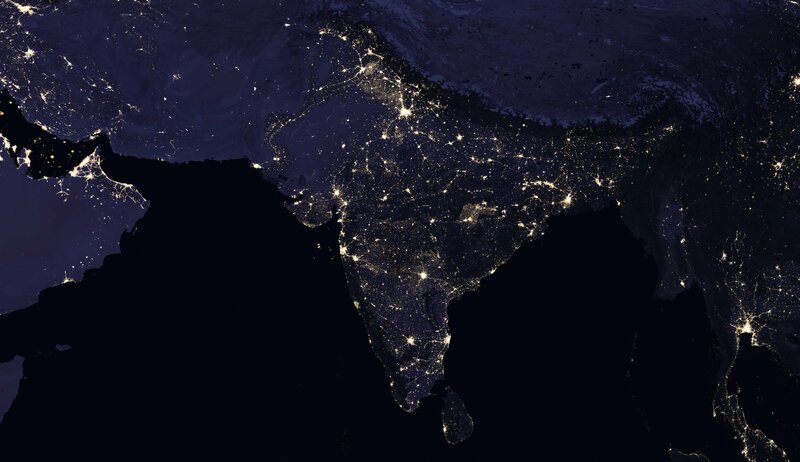 In India, what we were hearing was that for a lot of the participants, data-science projects were dark portions of the map, and they desperately wanted a brighter landscape. Deeply understanding how people collaborate to generate outcomes and innovate is a wicked problem but it doesn’t have to be a black box. There is a rapidly growing field called the science of team science which aims in many ways to illuminate aspects of scientific collaboration. There is even a “team science toolkit” available on the web that allows you to access much of the latest research in this area (I went to the site and searched for the term “black box”, which resulted in just one match - a paper focused on increasing visibility to the different motivations driving researchers). When I look at this list, I see a lot of work ahead of us. One thing that stands out to me is that most of our current methods of illumination are backwards looking. They are flashlights that we try to shine behind us after the work is done. In order for large-scale data-science projects to be successful, I think it is critical that we develop the ability to shine the light ahead of us and illuminate the increments of work that are currently in process or still under development. This is one of the things that I’ll be asking the Exaptive team to think more about as we continue to develop the Cognitive City. If they are fans of 2001: A Space Odyssey, like I am, they might be tempted to say, in their best HAL impression, “I’m sorry, Dave, I’m afraid I can’t do that.” But it won’t work on me. I know they can, and I’m looking forward to blogging more about the progress they make.